The biggest gangster of 2018, hands down, was Mother Nature. No sanction, series or track was safe this year with the most canceled races in history. Going into the final race, the Miller’s watched the weather closely and felt confident they could complete the event even if they had to run it all in one day. By Friday night they determined that Sunday’s changing forecast would have too much rain to risk running that day. So Friday night they restructured the schedule to extend the Saturday night curfew and cut one qualifying round out, to start eliminations Saturday afternoon. But by Saturday afternoon the forecast changed again, and rain was rapidly moving in. Despite a soggy end to the weekend, the final did not disappoint with three first time champions. Wilson Burkhead, Spencer Claycomb, and Richard Gadson all collected their first championship in the MIROCK/IDBL/XDA legacy. Jake Dugan and Cameron Teasley ran their first six second passes to make it an event they won’t forget. XDA also released their 2019 schedule to their loyal racers Friday as they came through the gate. In Orient Express Pro Street there was a potential of six different riders who could have taken the crown with the thirty-two bike ladder at this event. Ryan Bonitatis entered his first Pro Street event, and for the first time this year did not hold a #1 qualifying spot at XDA. He broke in round one against Ryan Schnitz, but he plans to be back next year in Pro Street. 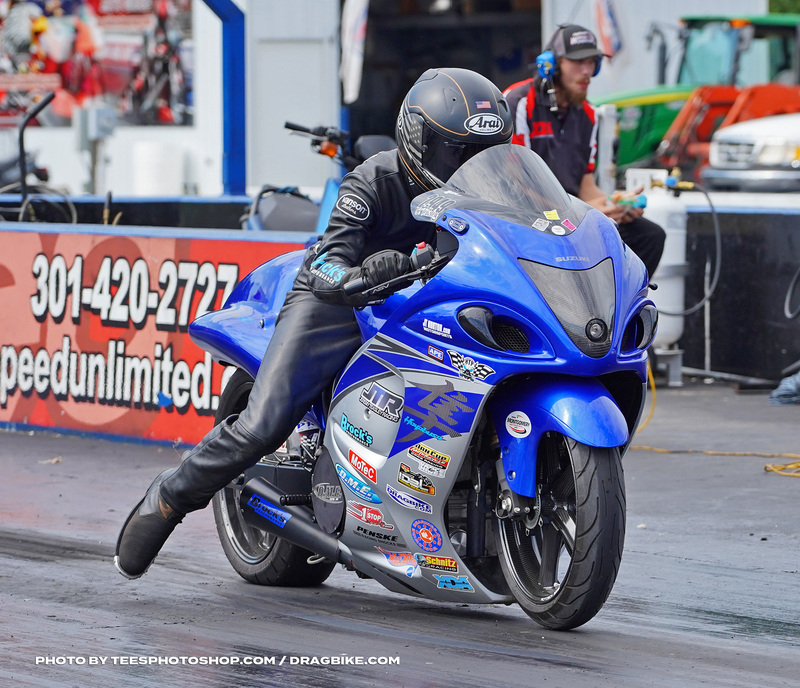 In round one of qualifying Schnitz ran a career-best 6.70 on the HTP Performance GSX-R1000 and was on track for a win taking out Bonitatis and Connelly Jr in eliminations. But Schnitz wasn’t the only one who ran a career-best, Richard Gadson, Frankie Stotz, Jordan Haase, Darion Payne, Luis Hornedo, Cameron Teasley and Jake Dugan also improved on their personal best times. All these careers bests also made for the fastest Pro Street field in history with eighteen bikes running under seven seconds. 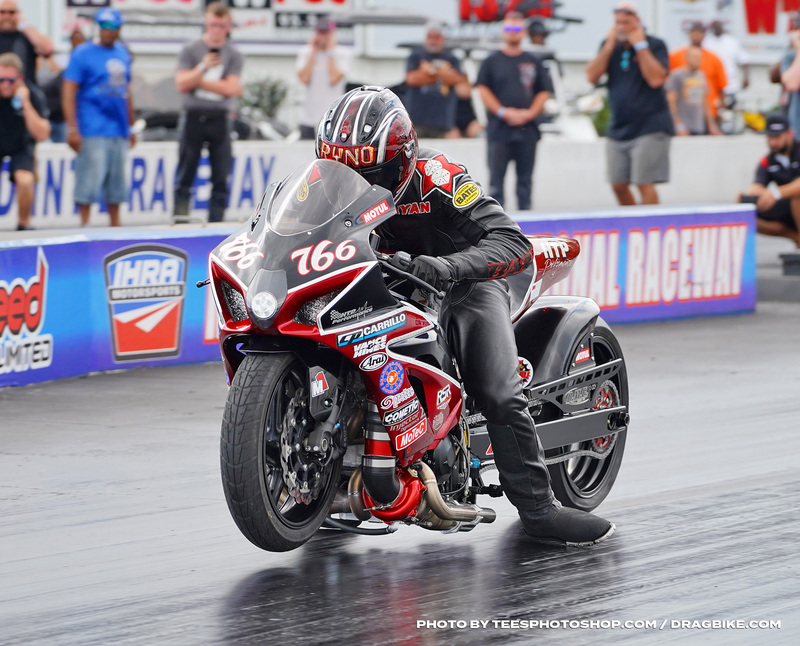 During Qualifying the Penske Racing Shocks Pro Street Shootout brought the action and upsets when the entire DME Racing team was taken out in the first round, while also ending Teasley’s chance for a three-peat in the Shootout. Shakir and Williford took out Tom Ivy and Jamie Lopes respectively in the semi-final. With two heavy hitters in the final, we were ready for big numbers on the board. With identical reactions times (.067) these two took off for side-by-side action. Shakir got out in front of Williford at the 1000’ for just a moment, and then Williford quickly regained his position in front and took the stripe with a 6.644 to Shakir’s 6.769. The Penske Pro Street Shootout will return for the 2019 season! 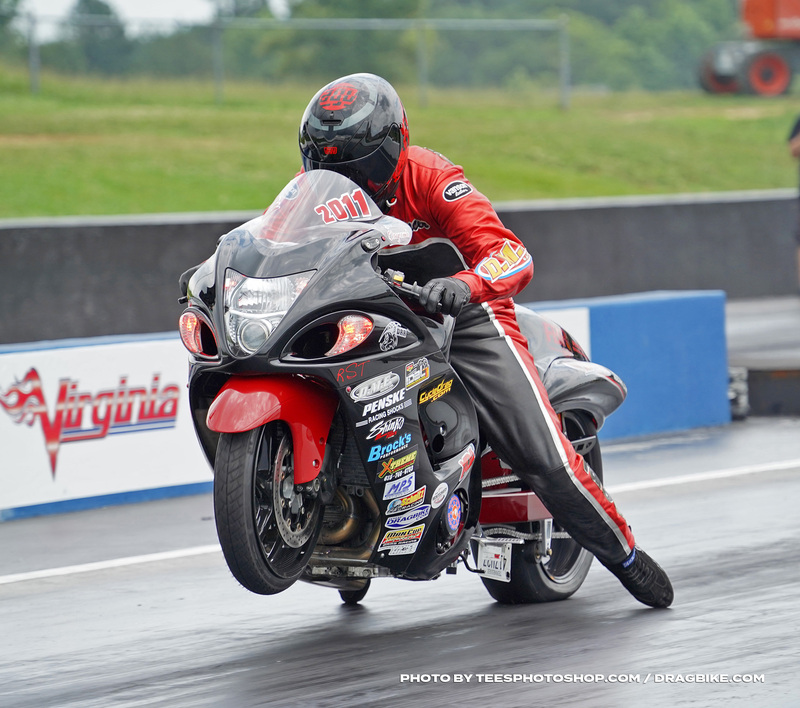 Going into this race, Williford had the lead over the class, however, with a potential of five other riders able to take the championship, all eyes were on Williford during first round on Saturday. When he won the first round, hopes quickly faded as that would give him a bye to round three, making it impossible for most still overtake him in points. With a sixty-one point lead, Rodney Williford would win the 2018 Championship and be the first in line for the World Cup Finals Import vs. Domestic event in November. 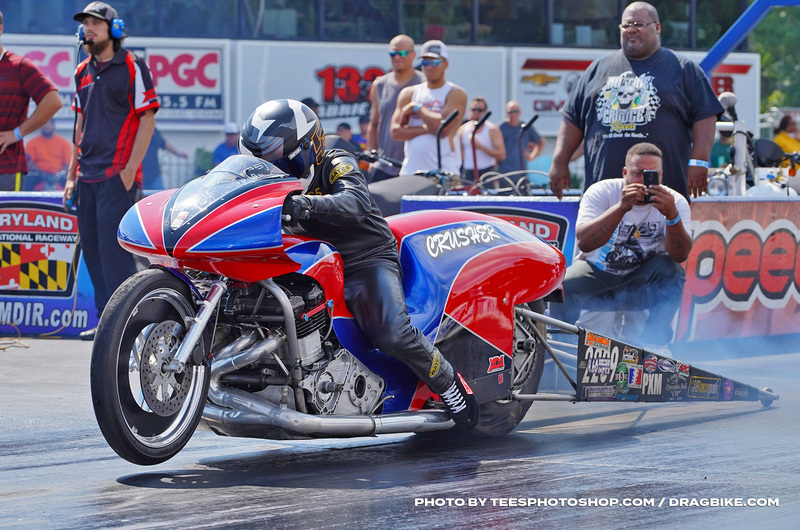 The Pro Street Shootout sponsored by Platinum General Services will feature the top ten riders of XDA who ran at least four events this year. With one exception, the damage to the Brad Mummert GS is too extensive, and Richard Gadson has withdrawn from the event, which will allow our first alternate to take his place. Rodney Williford, Jeremy Teasley, Chris Connelly Jr, Mark Gargiulo, Justin Shakir, Jordan Haase, Ryan Schnitz, Darion Payne, James Herbert, and Jason Dunigan will take center stage at the largest event that Pro Street has ever raced at. Ten racers will show up, but only eight will make it to the show on Sunday! 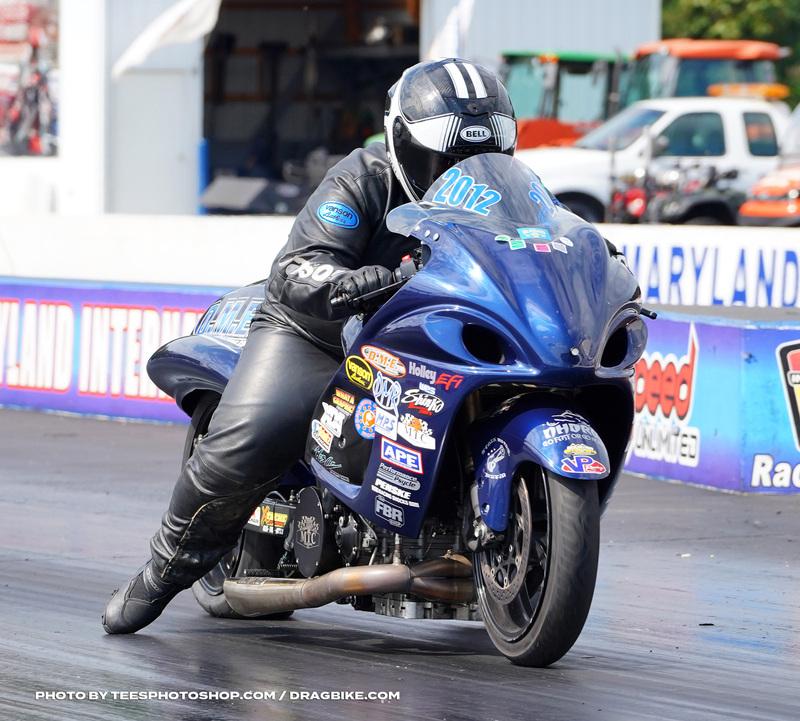 In DME Racing Real Street, Spencer Claycomb was the only racer to claim his championship before the final event. On Thursday during testing, Claycomb ran his quickest pass ever at 7.63 at 181 mph. That would turn out to be the highlight of his weekend as he struggled in qualifying. He had problems in round one and then swapped to an untested motor for Saturday that would break his block in round two, making him a spectator of Real Street for the rest of the day. Anibal Merced took the number one qualifying position with a 7.73 and was looking for a win to finish out the year. However, Merced would be stacked against Teasley’s in the semi-final. All three Teasley brothers, Cameron, Brandon, and Jeremy, took round two wins and would be headed to the semi-final round with Merced. Unfortunately, the rain would end the event before we could see this happen. Real Street will return for the 2019 XDA racing season. Thank you to all the racers that came out to support this class in a positive way! In HTP Grudge, some races went off while some didn’t even show up. ‘Cash is King’ was supposed to take on ‘Uncle Sam’ but the King had to stay home and work. I guess all that Moore money that ‘Kool-Aid’ won in June really put a dent in that wallet. CJ Fair on ‘Red Bull’ showed up to do battle with Caleb Holt on ‘Bad News’ in a heads-up 1/8 mile race. ‘Red Bull’ took the lead at the starting line and stayed in front of him until his motor let go right before the 1/8 mile letting ‘Bad News’ get around him for the win. 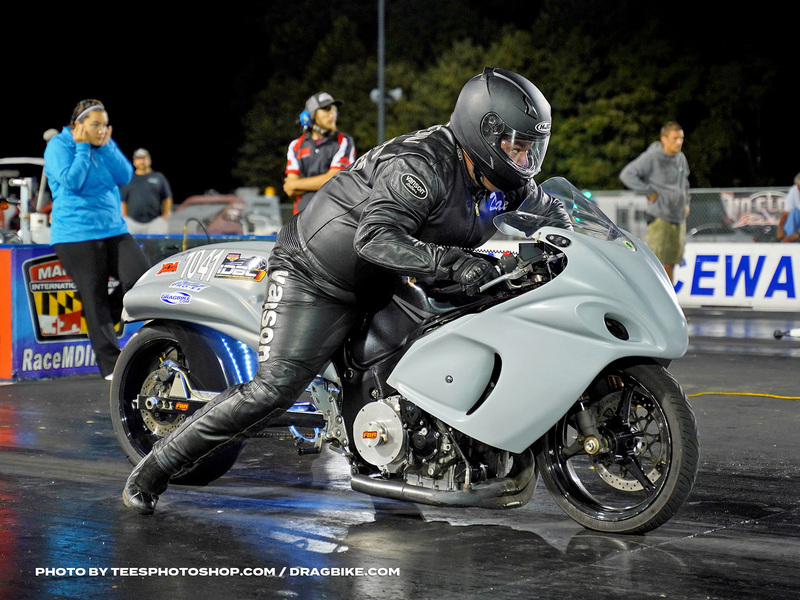 Dave Norris on ‘Yellow Jacket’ took the Running of the Bull’s Pro Nitrous class win over Cameron Teasley on ‘Money Train.’ Dave made a quick A to B pass with no hesitations, while Teasley struggled with a wheelie off the starting line to cost him valuable ET. The HTP Performance class will be back in 2019 more prominent than ever. 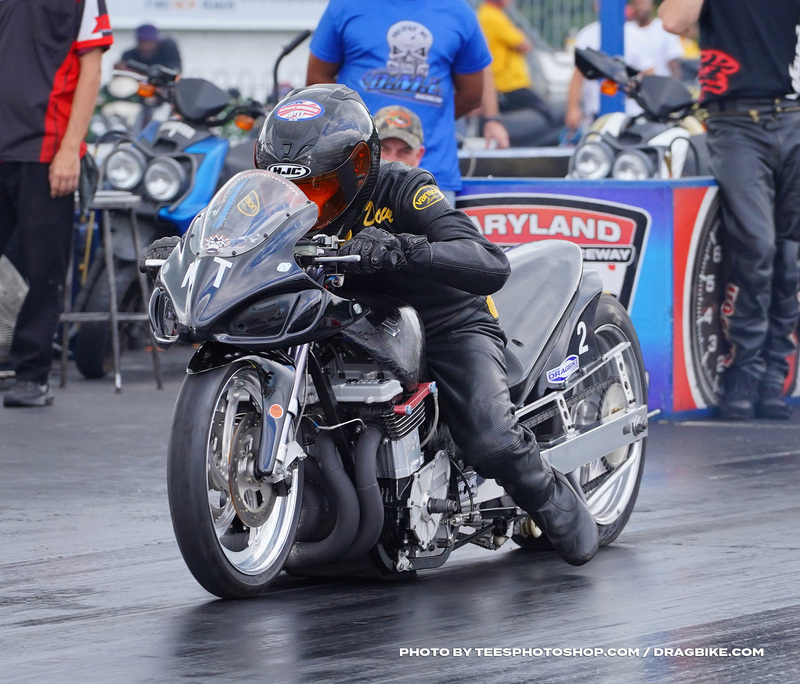 In Vance & Hines 4.60, Michael Thyen would win the battle, but lose the war on Saturday. During qualifying, Thyen would take a win in the Big Money Shootout over Wes Hawkins. With that Battle won, Thyen had his sights on overtaking Gadson’s points lead for the championship. In round one of eliminations, Richard Gadson would lose to throw the door wide open for Thyen, Michael Ostrowski, Mac McAdams, and Boo Brown to take over the lead. In round two Brown and Ostrowski would take losses to leave McAdams, and Thyen as the only competitors in striking distance. Unfortunately for them, the rain came in too soon and ended the chance for another round of competition. And when the points calculations were done, Gadson held on to the championship by only one point over Thyen. Jeremy Brown qualified number one in the FBR Shop 5.60 class with a 5.601. This qualifying position would give Brown the most points earned for the event and the number five overall finish for 2018. But with only one round of competition completed, the other Jeremey of the class, Teasley would keep his points hold on the class and claim the 2018 Champion. Teasley was also leading the Shinko Tires Crazy 8’s class coming into this event. 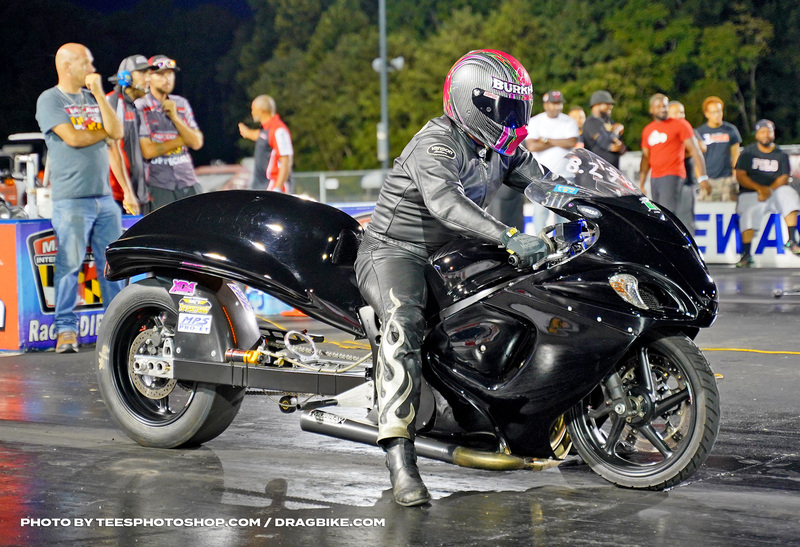 And all eyes were on David Poague in round one of eliminations as he lined up against Teasley. But when he failed to take out the points leader, it put the pressure on Boo Brown who was the only candidate left for a chance at the crown. Unfortunately for Brown, the rain came in before round two, and that would seal the deal for a second championship for Jeremy Teasley. For the first time all year, Ryan Bonitatis did not lead qualifying in Mickey Thompson Top Sportsman. 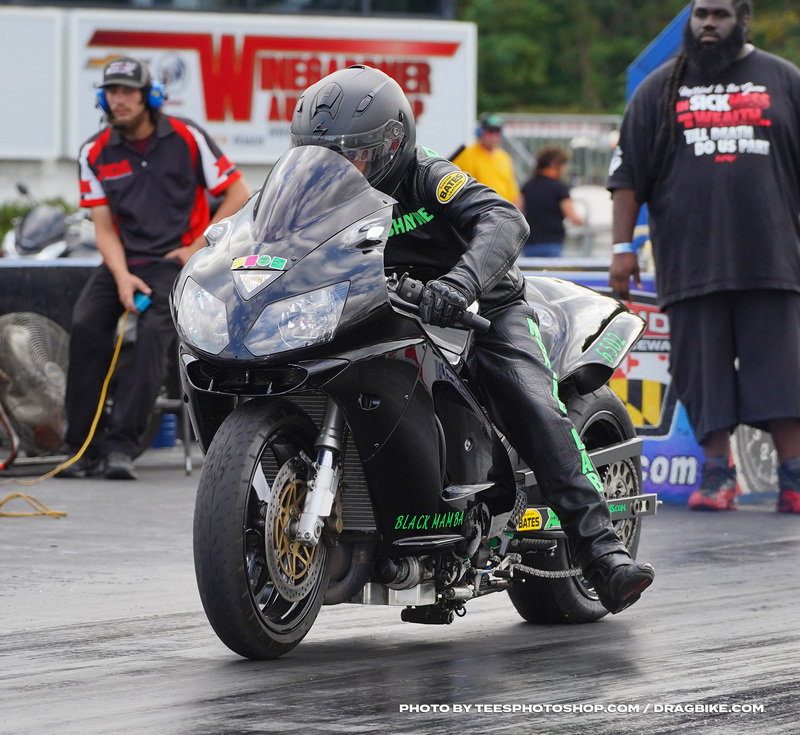 With Bonitatis making a move to Pro Street, Mac McAdams took over the number one qualifying position with a 7.72 over the thirty-two bike field. With two rounds completed when the event was canceled, Wilson Burkhead and Derrick Milbourne were still in the race and both had a chance for the title. But since points were calculated at round two, Burkhead’s win in June would earn him the championship by only one point! Milbourne will be back next season ready for another chance at the title. MPS Racing Pro ET crowned Dale Hamilton as the 2018 champion on Saturday with a one round points lead. When the rain came in on Saturday, this class had only completed two rounds. Bob Carlson, Jimmy Shifflett, James Farmer, Derrick Milbourne and Mike Schulz who were in contention for the championship had their chances washed away in that rain. But they will return for the 2019 season ready for another chance. 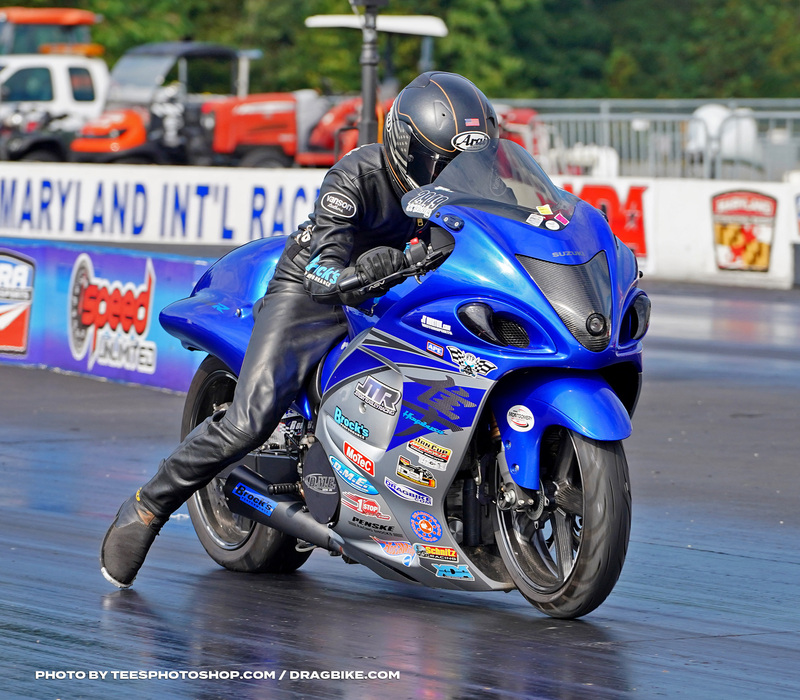 Dustin Lee took the Brock’s Performance Street ET championship with a thirty-one point lead. And like the other sportsman classes, with only one round of racing completed, points in this class would not change much as most of the racers in contention for the championship won the first round. This entry level class had a lot of fierce competition this year a lot of veteran racers. Austin Bridge really made a name for himself this year with two event wins in this class and outstanding overall performance. If you are thinking about racing, come try out Street ET next year. With one of the few races to actually finish, the Friday night gamblers race saw thirty-one entries. 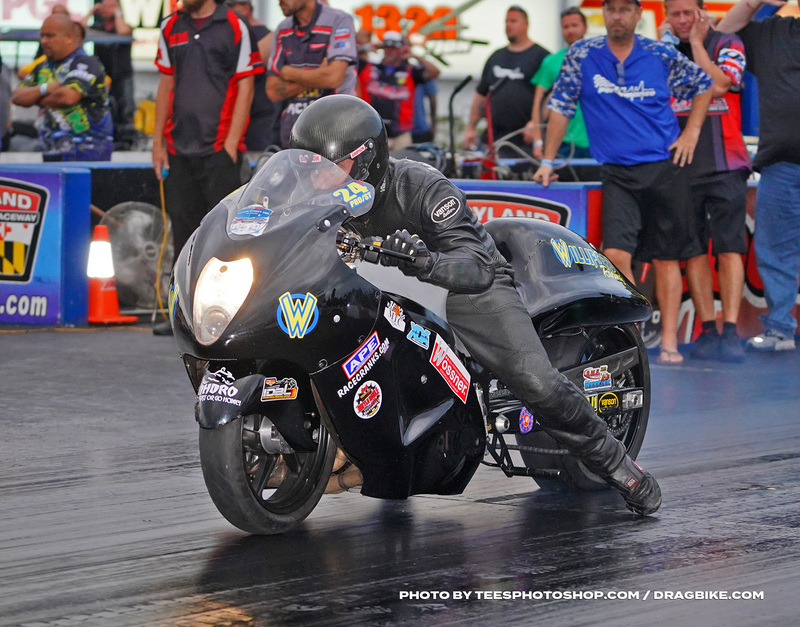 Shayne Proctor and Dale Hamilton cut through four rounds of competition easily with their quick reaction’s times. It was an action-packed final as these two fought for a cash reward. In the final round, the two would cut almost identical lights on each other to make it a race to the stripe. Proctor would get there first running 8.623 on his 8.62 dial, while Hamilton would lose this race running 9.710 on a 9.69 dial. The 2018 season saw a lot of up’s, and down’s this year, from records to rain-outs. The 2019 XDA season is shaping up to be the quickest and fastest season yet. Mark your calendars now with the 2019 schedule and don’t miss a weekend of racing with the fastest sanction in the country. 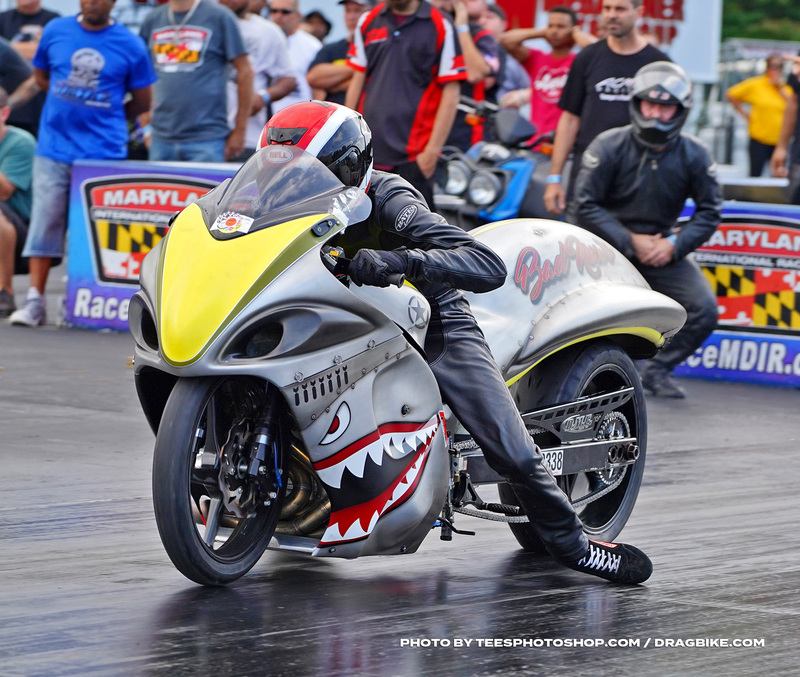 About the XDA – The Xtreme Dragbike Association (XDA) is an east coast motorcycle drag racing series with 700+ motorcycle racers competing at each event. Every XDA event hosts professional classes, sportsman classes, grudge racing, and a vendor midway. Lifestyle activities such as bike shows, bikini contests, DJ and live bands are also held at select events. For more information on the XDA, please visit XDAracing.com or connect with us on Facebook, Instagram, Twitter and YouTube.